This past weekend was so much fun! 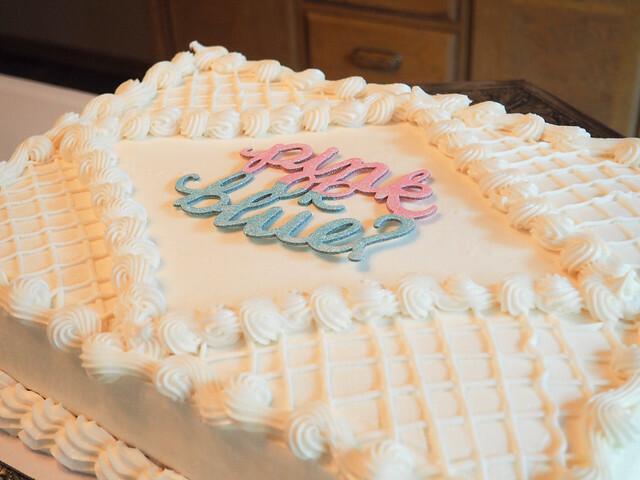 If you follow me on Instagram you know that I was able to go on a road trip with my mom, grandma and sisters to visit my family for my cousin’s babies gender reveal party! 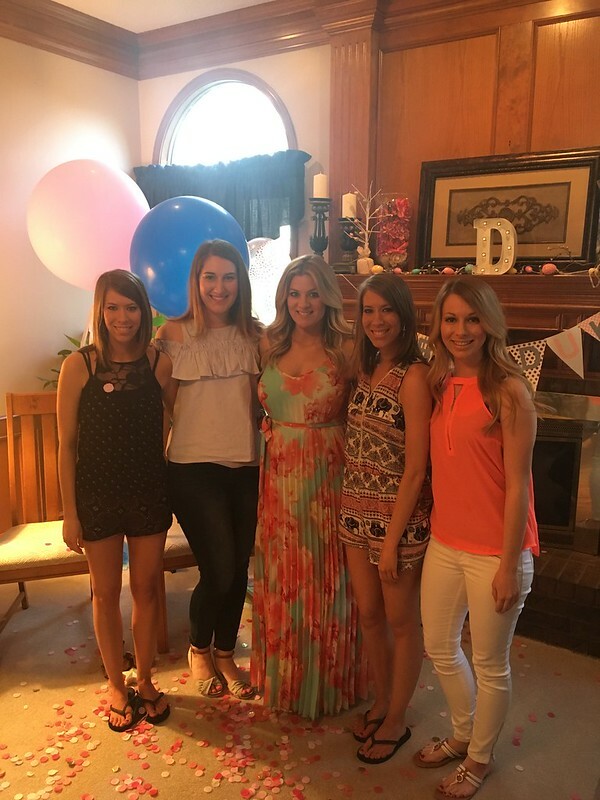 It was such a fun way to get to spend Easter weekend with my family and discovering the gender of the newest member of our family! 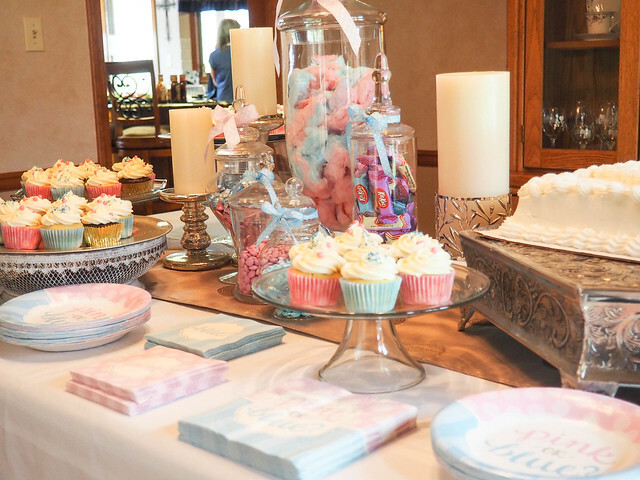 For the gender reveal party everything was decorated sooooo cute in baby pinks and blues. Check out the pictures below to see just how adorable it was! Boy or girl? 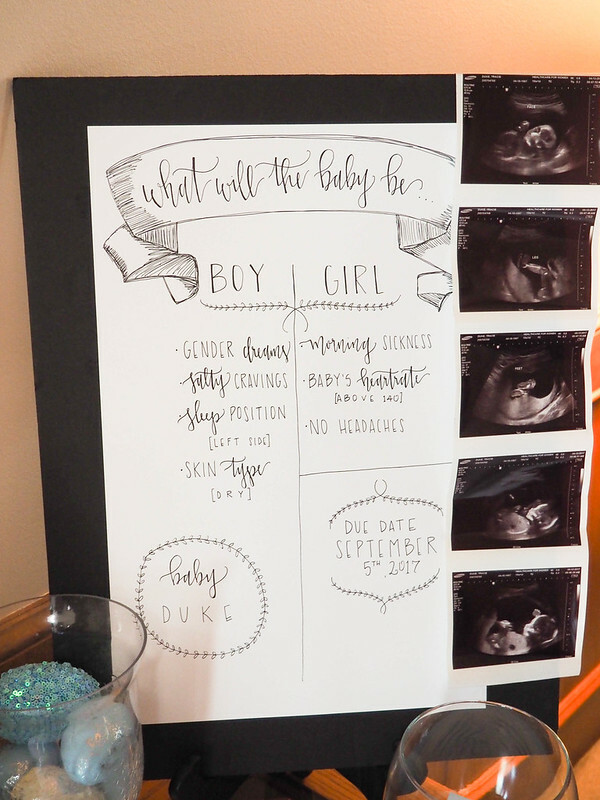 Which do you think Baby D will be? 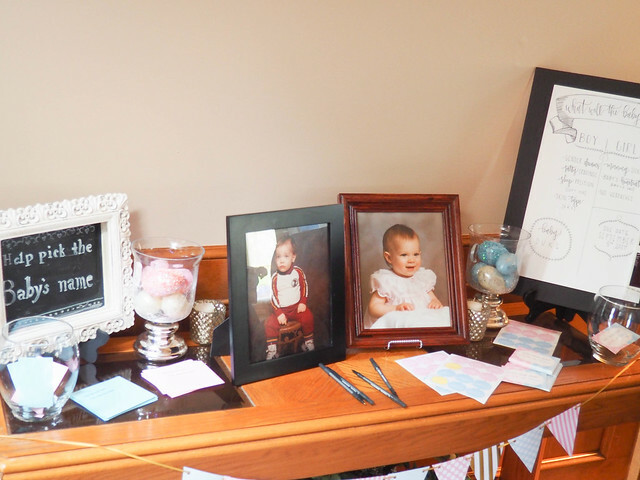 Baby pictures of mommy and daddy were just too cute for words!!! 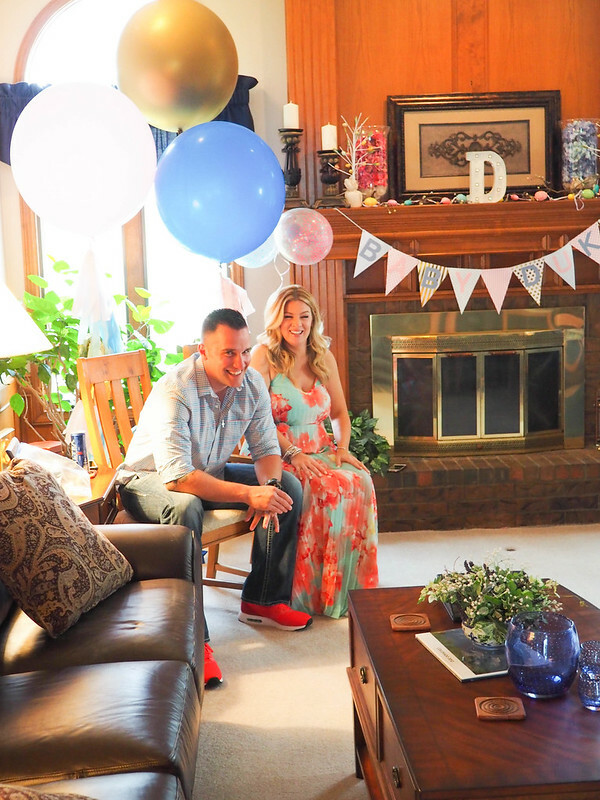 I cannot wait to see my new baby cousin, I am sure baby “d” is going to be the absolute cutest!!! I loved this custom sign they had made of pregnancy symptoms for everyone to guess whether the baby would be a boy or girl based off of old wives tales. Before you watch the video below of what baby will be, what is your guess? Were you right? 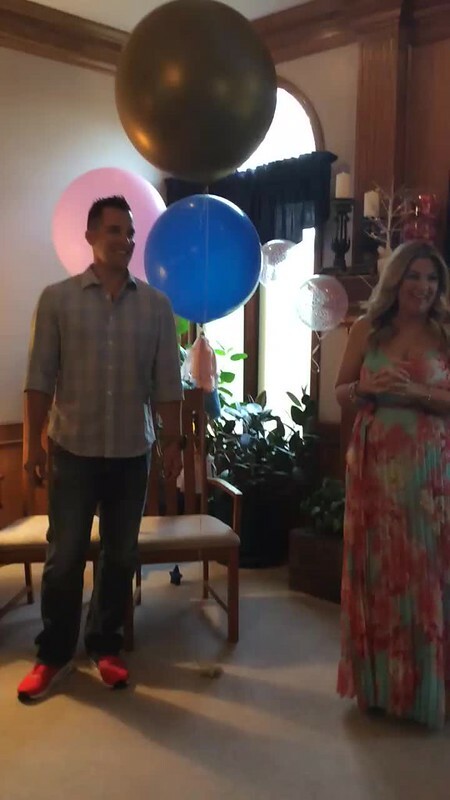 It’s a girl!!!! I am so excited to get to go shopping for baby girl clothes. 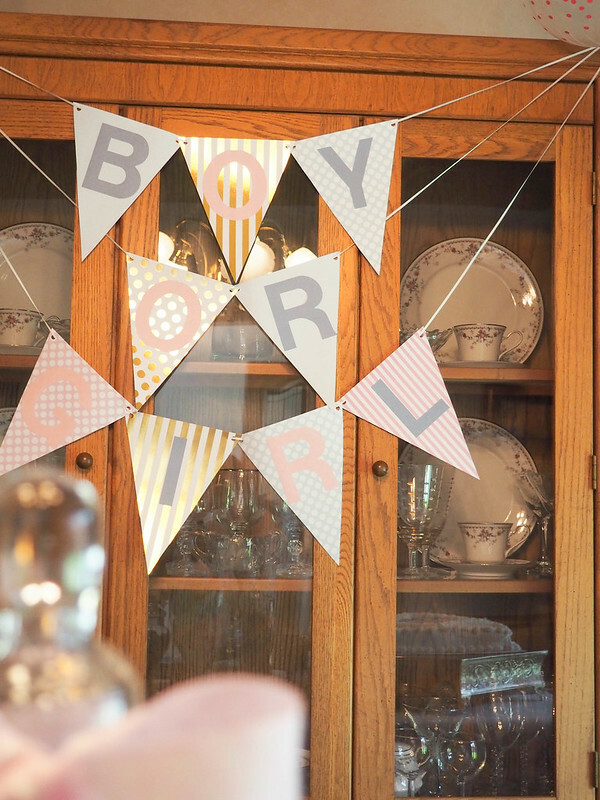 While baby boys are sweet and special too, everyone I know has been having nothing but boys for over five years now and I am dying to go shopping for dresses and bows! We all stayed up so late talking and having fun, I seriously did not get to bed until midnight, which if you know me, that is crazy late for me! I normally start winding down around nine or nine thirty and am always in bed by ten or ten thirty at the absolute latest. I seriously LOVE my sleep, lol. I meant to get a picture of all of us before or after church in our Easter dresses, but we all were having so much fun just being together and talking that I totally forgot to even take any pictures on Easter, oops! We all went to church together and then came back to my aunt and uncles house to enjoy leftover barbecue together for lunch, and let me tell you, it was GOOD! By mid afternoon it was all too soon time to start making the trek back home. It was sad to say goodbye to everyone, but thankfully I’ll get to see them again soon and now all of the baby girl shopping can begin! 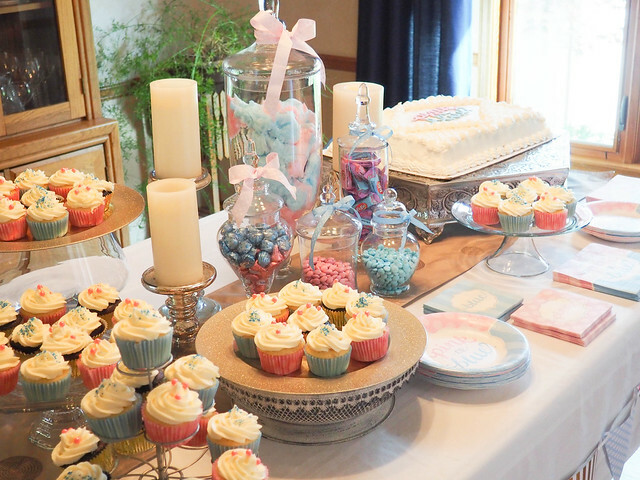 If you have children, what were your favorite things you received at your baby showers? I am all ears for suggestions on things to buy! What did you do this Easter?